I created the boxes with the Lawn Fawn Fancy Box die set. 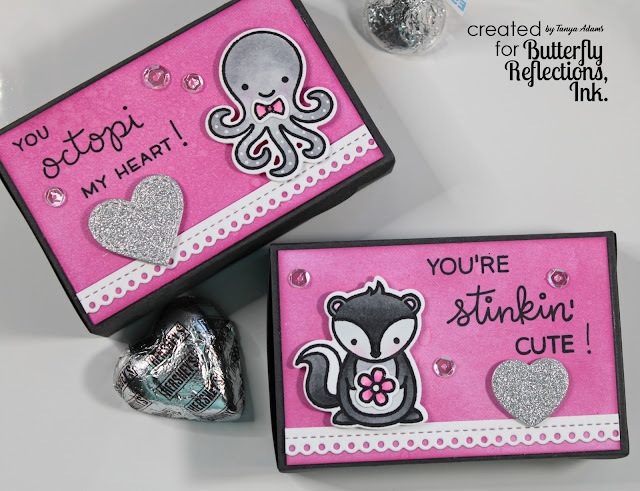 This little box is such a fun size and can be embellished for any occasion! 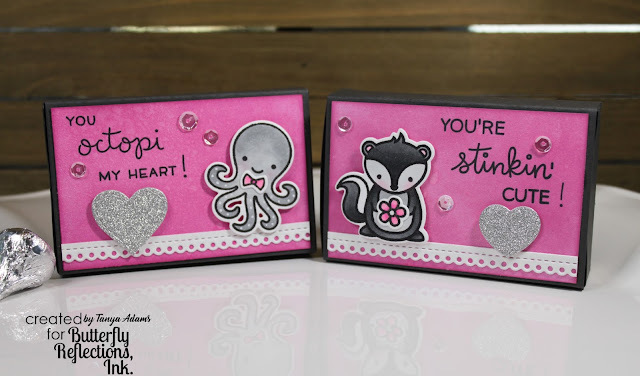 After putting the boxes together, I cut a piece of white card stock for the top of each box and inked them up with some Picked Raspberry Distress Ink. The Lawn Fawn Lacy Borders die made a pretty decorative border for the bottom of my inked up layers. This little cutie was created with the Lawn Fawn Stinkin' Cute stamp set and the coordinating dies. 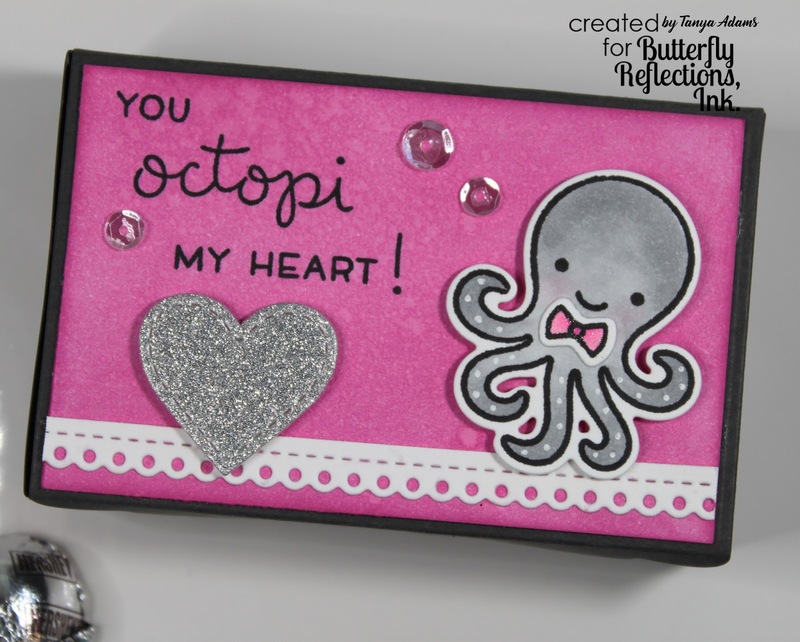 And, this little guy was made with the Octopi My Heart stamp set and coordinating dies. I added a few clear sequins from the Neat and Tangled Mermaid Tail Sequin Mix for a little sparkle. A few yummy treats and these Valentine Fancy Boxes are ready to go! Thanks so much for dropping by today - see you soon!